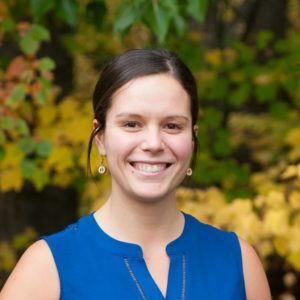 Andrea completed her Physical Therapy training in 2014, graduating from the University of British Columbia with a Master’s in Physical Therapy. Prior to this she completed a Bachelor of Science Degree with a major in Kinesiology from the University of Lethbridge in 2012. A local Fernie girl, she has worked primarily in orthopaedics in Fernie BC, Kamloops BC, and Sparwood BC. Her focus is in orthopaedic rehabilitation and sports injuries, as well as athletic performance for all ages. She is also passionate about preventative health and believes in being proactive about injury prevention through the use of active and manual therapy. Andrea has taken post graduate courses including Mulligan’s Mobilization with Movement, K-Taping, has her certification in Anatomical Acupuncture through the Acupuncture Foundation of Canada (AFCI), has completed her Level 1 Dry Needling with Dry Needling Canada, and most recently her Level 1 NeuroKinetic Therapy. Outside of the clinic you can find Andrea attending CrossFit, playing/coaching basketball, and exploring the outdoors by camping, horseback riding, fishing and hiking the trails with her husband and dog Theo.